Obtained from the distillation of 5 marc of trentino, such as Marzemino, Teroldego, Merlot, Moscato and Chardonnay, it ages in small barrels of Cherry, Ash, Oak and Robinia, which have each their own characteristic perfume, aroma, color and taste. The aging time follows the rhythms of nature: the moon, in the moon run 18 months. The scent is intense, becomes ethereal and harmonious, the taste loses its angularity and initial round to give you a perception in the mouth the elegant and silky. The color reaches a warm amber. The Master Distiller, it follows the maturation till the achievement of the blend and ideal of full harmony between the wood and Grappa. 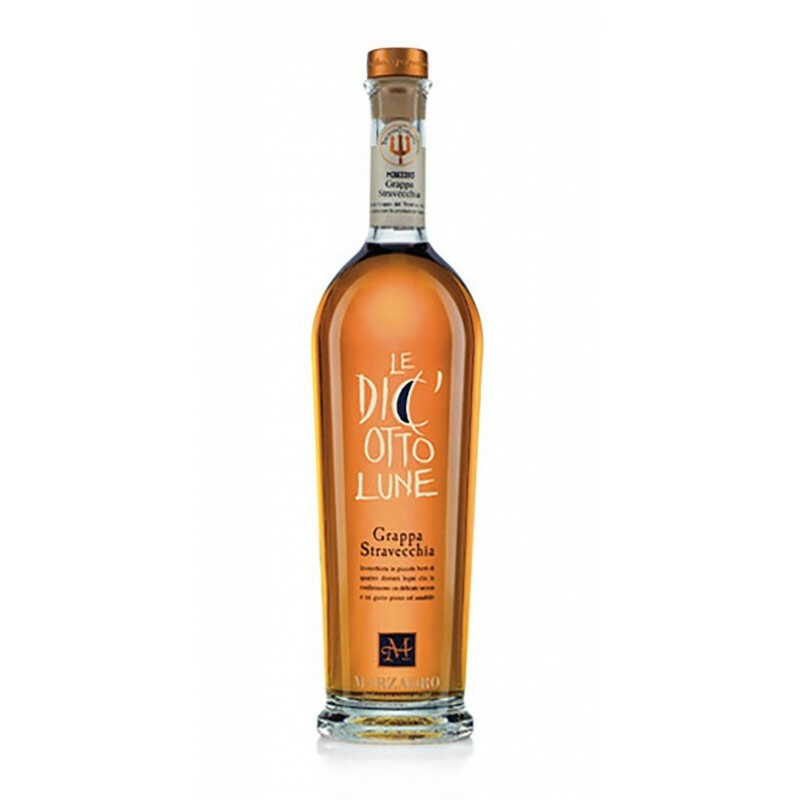 Thus was born, The Eighteen Lune Marzadro, refined Grappa from meditation.